The Frontier Harvest Festival will be held on October 27 from 1-5 p.m. at the Wilderness Road Blockhouse at Natural Tunnel State Park. This is a family-friendly event and there is no entrance fee. Click here for the flyer. This is a free, family-friendly event that depicts daily life on the frontier during the late 18th century. Parking fees will still apply and dogs must be kept on a leash. 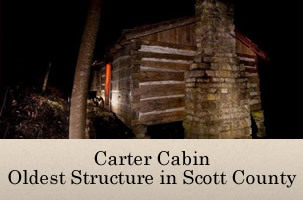 For more information please call the Natural Tunnel State Park Office at 276-940-2674.